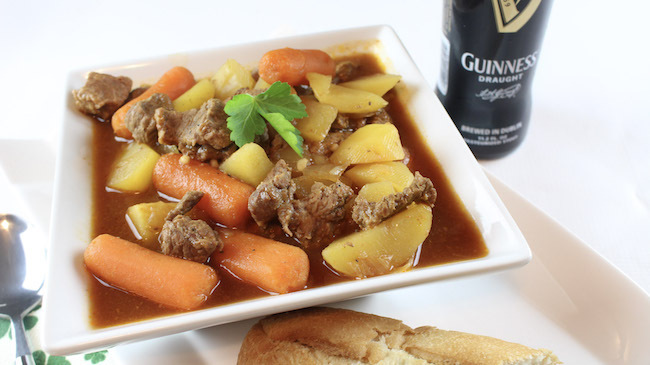 The Slow Cooker Guinness Irish Beef Stew Recipe is brought to you by Just Plum Crazy. 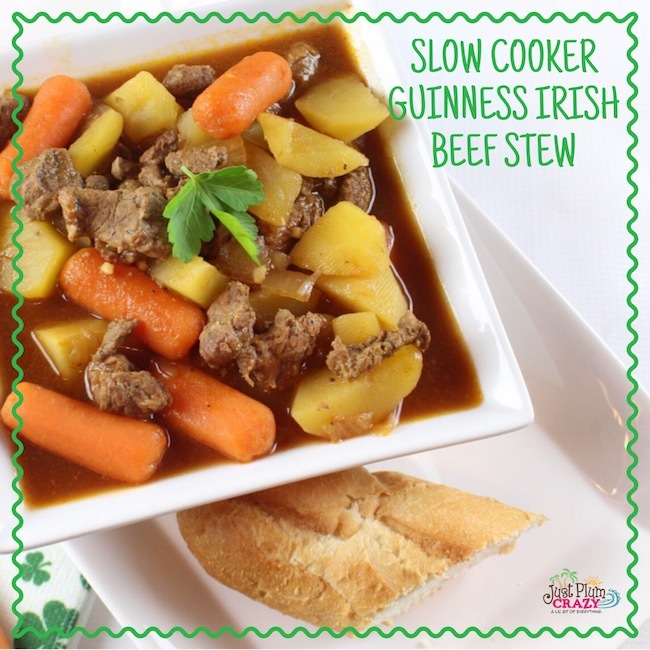 Slow Cooker Guinness Irish Beef Stew Recipe! 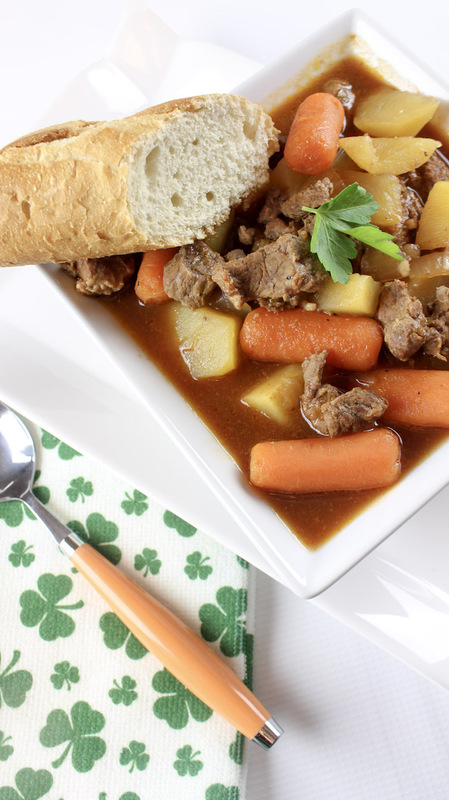 With St. Patrick’s Day quickly approaching, it’s time to share some St. Patrick’s Day like our Slow Cooker Guinness Irish Beef Stew recipe. 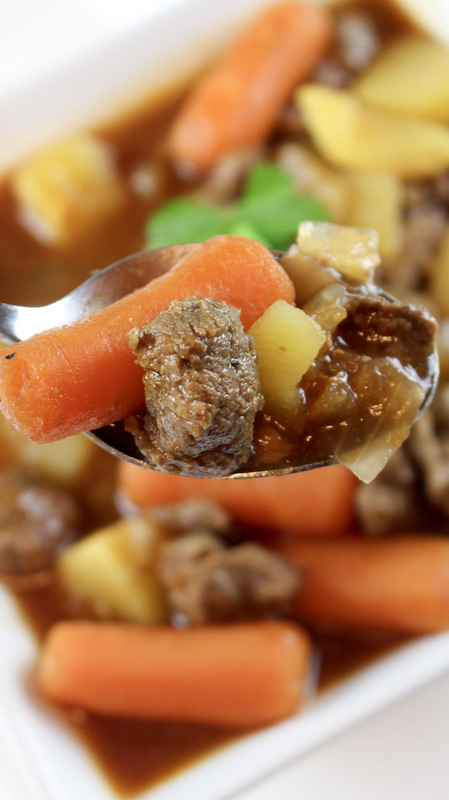 We love Beef Stew in our house but sometimes you want to switch it up and this Irish Beef Stew recipe is perfect for any day. The Guinness gives it that wow factor! Your family will love it as much as mine. 1. 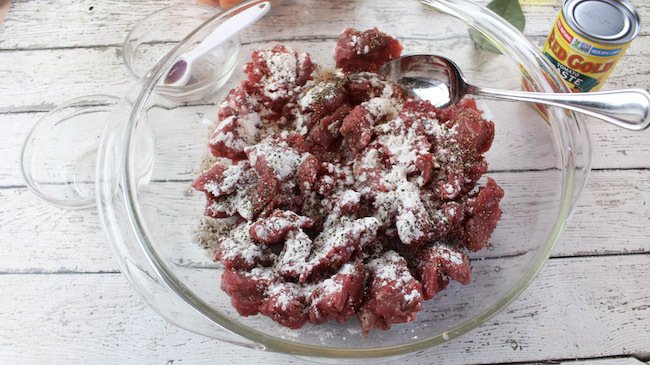 Add the beef, salt, pepper and flour to a large mixing bowl. 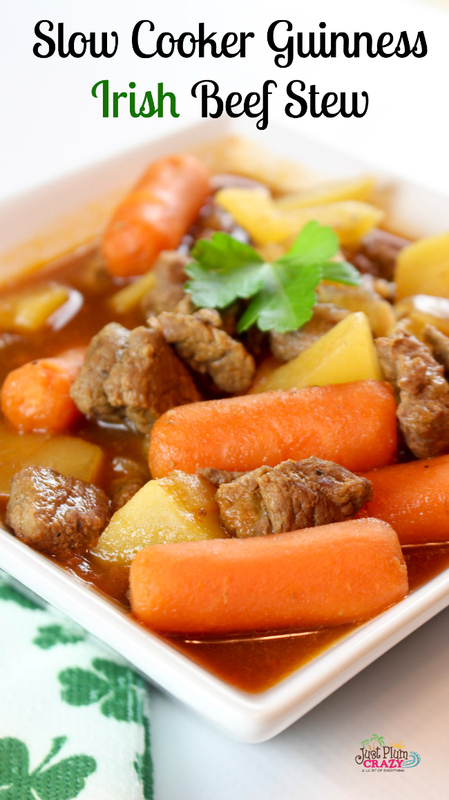 Toss well to coat the beef. 2. In a large skillet, heat the oil over medium-high heat. 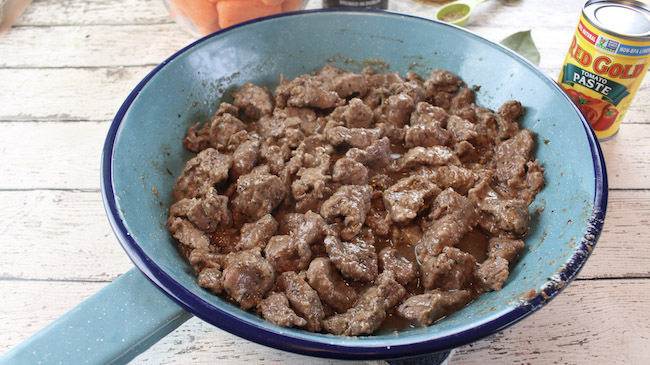 Reduce the heat to medium and add the flour-coated beef. Brown on all sides. Set aside. 3. Turn the crockpot on and spray with a non stick coating spray. 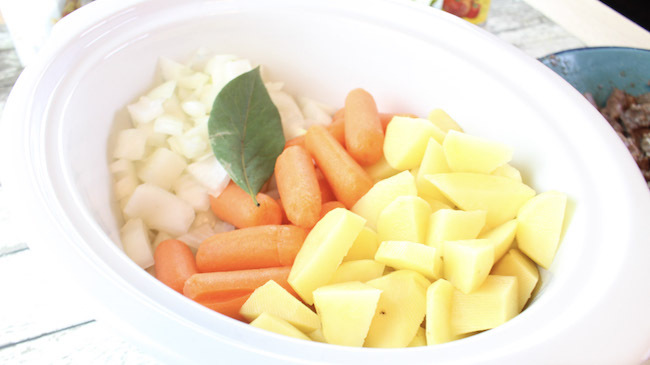 Add the potatoes, carrots, onions and bay leaf. 4. 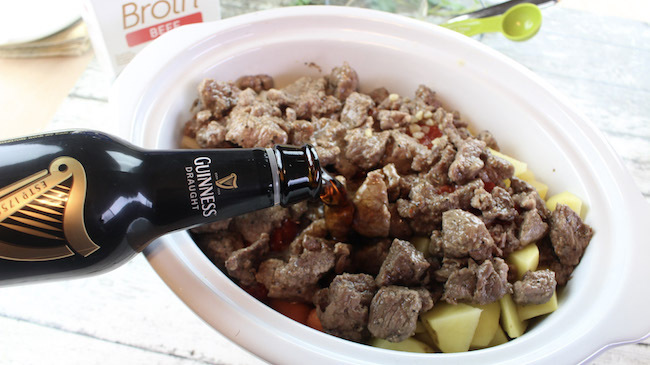 Place the browned beef, tomato paste, Worcestershire sauce, garlic and thyme on top of the vegetables. 5. Pour the beef broth and Guinness into the crockpot and stir to combine. 6. Cover and cook for 3-4 hours on high or 10-12 hours on low. Add salt and pepper to taste. 7. 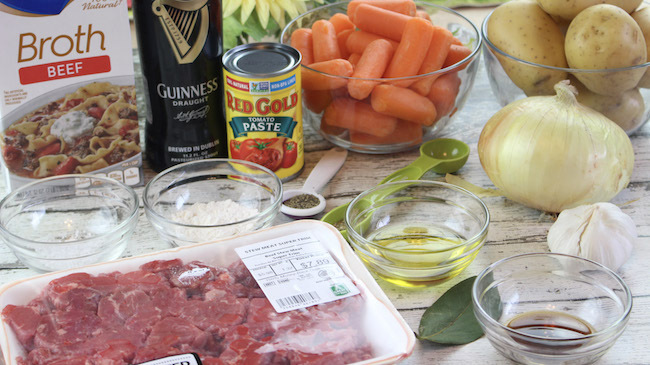 Serve the Guinness Irish beef stew in a bowl or on top of mashed potatoes. Garnish with parsley, if desired. Don’t forget to pin it to save for later and follow us on Pinterest.